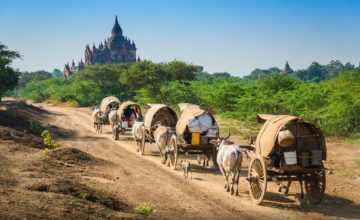 This trip is no doubt your good choice to take advantage of your time and budget to discover most of best places in Myanmar from Mandalay via Bagan to the golden city of Yangon. Go with us and experience. Welcome to Mandalay, one of the most interesting cities of Myanmar on the banks of the Irrawaddy River that you should not miss in your trip. 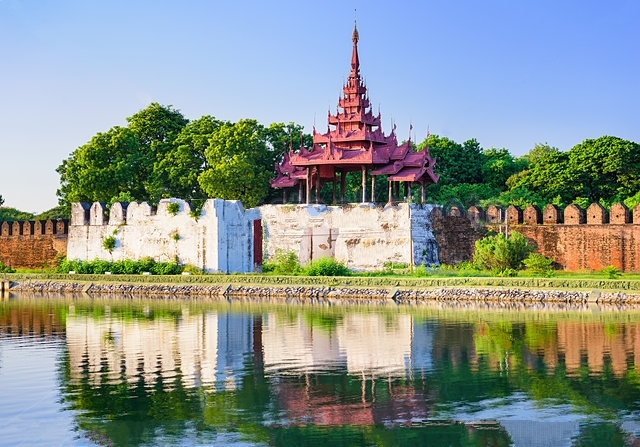 Mandalay is not simply a travel destination only but actually, it is called the culture heart of Myanmar and featured with tradition of music, dance and drama. From Mandalay airport, it will take us about 1 hour to get to Mandalay city. Overnight in Mandalay. After breakfast at hotel, we will start the exploration in Mandalay with a first visit at the Mandalay Palace Kyauktawgyi Pagoda, where a huge Buddha carved from a marble rock. After that, the Kuthodaw pagoda will be our next place to visit. With the collection of 729 marble slabs inscribed with Buddhist teachings, Kuthodaw pagoda is known as the World’s Biggest Book. To finish the morning, we take a visit to Shwenandaw Monastery, also called Golden Monastery, where the amazing woodcarving structure will make you feel impressed. 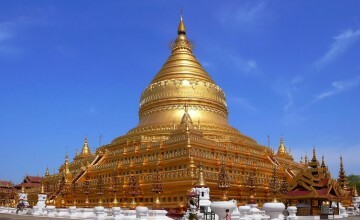 In the afternoon, continue the tirp to visit the Mahamuni Pagoda, where one of the most honored Buddha images is housed. If time permits, you may have chance for visit to one making gold leaf, tapestries, wood carvings or marionettes if you are interested. Our next destination is Amarapura with a stop at Mahagandayon monastery which is known as the house of thousand young monks and centre for monastic study. Next, we can travel to the famous Ubein Bridge by bus or walking. 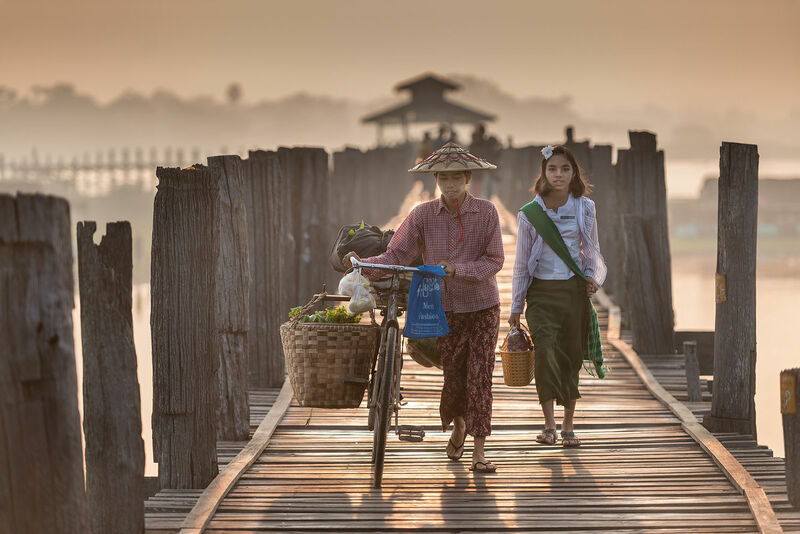 Constructed in 1782, Ubein Bridge is considered one of the teakwood bridge in the world. We also enjoy relaxing time here to contemplate the sunset. Transfer back to Mandalay. Lunch & dinner on your own. Overnight at the hotel. In the morning, transfer to Mandalay Bus Station for bus trip to Bagan (about 6 hours). Upon arrival, visit Ananda temple – the legendary white temple in Bagan and stop at some other spots to visit many other temples surrounding. Specially, Dhammayangyi Temple and the impressive Sulamani will be not missed in our journey. 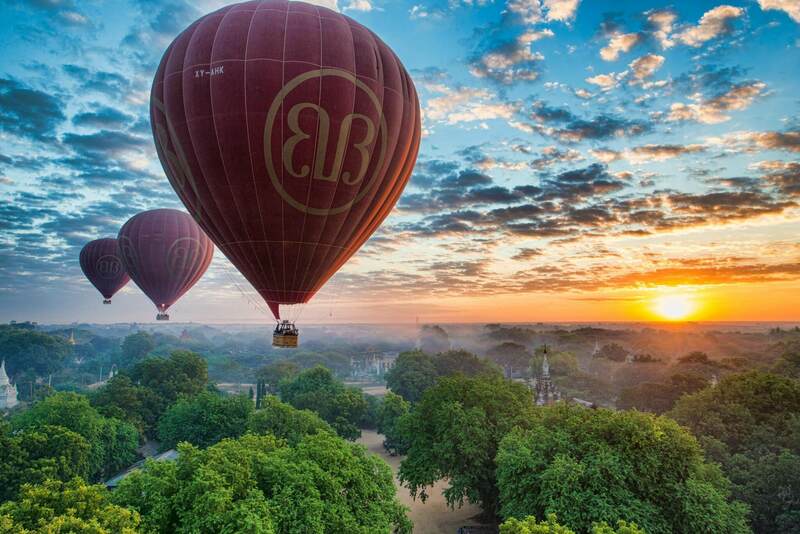 Optional: Hot air balloon over Bagan (Only available from October/November through March). You are recommended to wake up early to get to the launch of hot-air balloon, which give you interesting experience of seeing the Irrawaddy River and the stupas in the region from bird-eye views. 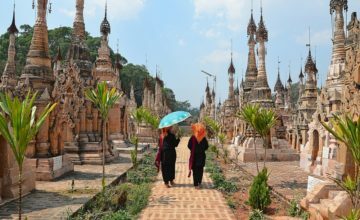 Start this day by an exploration to the beauty and ancientness of Shwezigon pagoda to learn more and more about Burmese Buddhist traditions. After that, we visit the village of Myinkaba and Gubyaukgyi temple, where the murals and sculptures surely will make you impressed. We also visit 2 small temples of Manuha and Nanpaya. Transfer to Bagan Bus Station to take overnight bus to Yangon. Known as the most famous pagoda plated with 90 tons of gold, Shwedagon pagoda should not be missed in our exploration around Yangon. 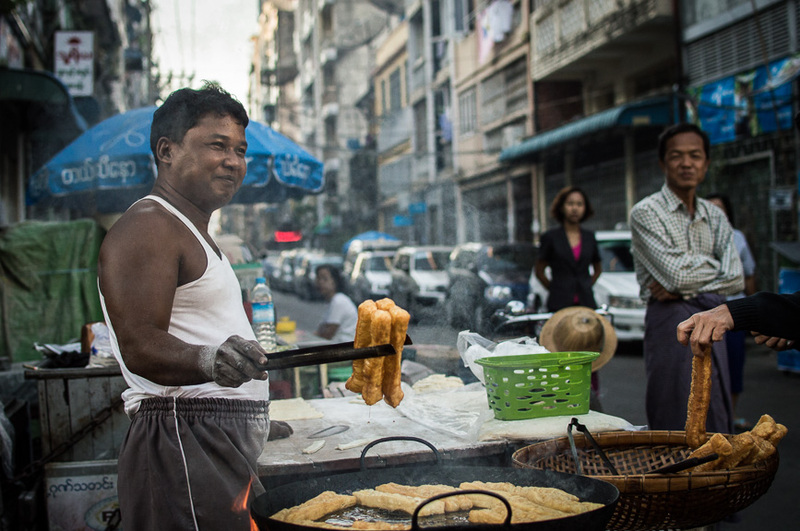 After that, transfer downtown to where we start walking around the Scott Market, the most popular market in Yangon. After that, take the last visit to the Kyaukhtatgyi Pagoda highlighted with the lying giant Buddha statue. Saying goodbye to Yangon and we will transfer to the airport for your international flight. 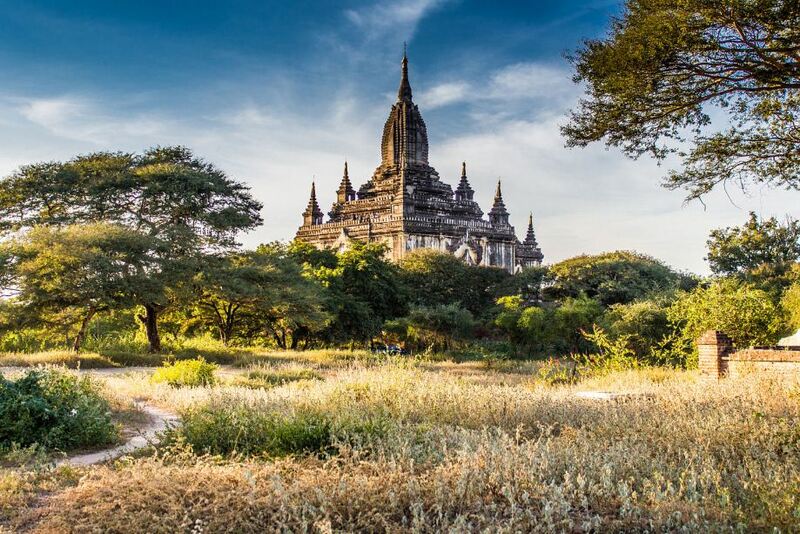 Thank you for your interest in Mandalay – Bagan – Yangon Tour: Bus Transfer. Please fill in your details below and we will contact you by phone or email within 24 hours.